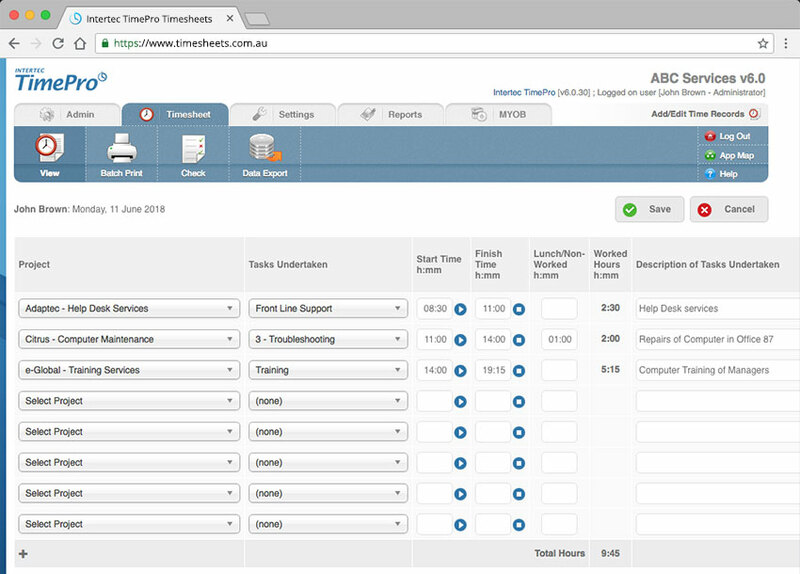 Intertec TimePro Hosted is a fully hosted web-based timesheet solution, offered on a low cost monthly or annual subscription. 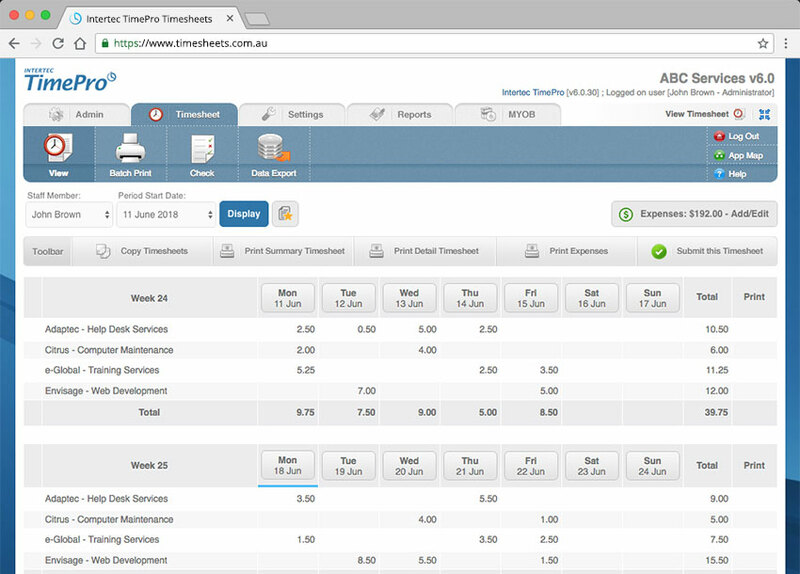 There is no installation required: you simply log in to your timesheets anywhere, anytime via the Web. All you need is a computer and an Internet connection. Low-cost monthly or annual subscription. View subscription pricing. Fully hosted – no need to install anything. Includes 3 years data retention and 6 months audit history. Product support via telephone, email and website. The log in anywhere feature lets you and your Users log in from your own website or Intranet. Bonus Compact Interface for mobile access via your smartphone. Who should use Intertec TimePro Hosted? Businesses preferring to pay for a timesheet solution on a subscription basis, instead of purchasing a product outright. Companies that need to track time and manage costs for specific projects without engaging IT resources to set up and maintain new systems. Businesses providing professional services or employing contractors at hourly rates. Any business looking for a professional, affordable and easy-to-use timesheet system that is available as a fully hosted solution. Add your company logo and details to the standard print timesheets available in Intertec TimePro. Consulting fees apply. Need a report created or data extract which is unique to your business needs? We can build the custom report or custom export for you. Consulting fees apply. 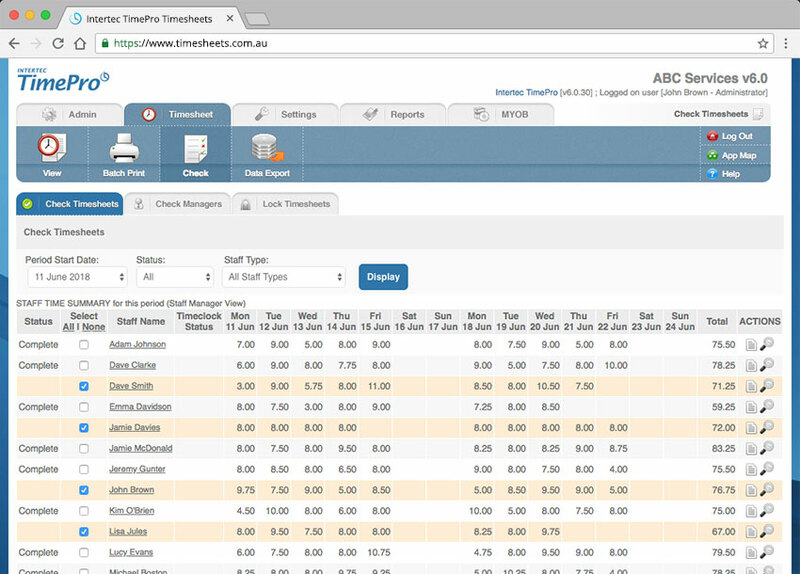 Add your company logo and details to the standard print timesheets available in Intertec TimePro. Intertec TimePro can also be co-branded with our ‘Powered by logo’ to more closely align with your corporate branding. Consulting fees apply. 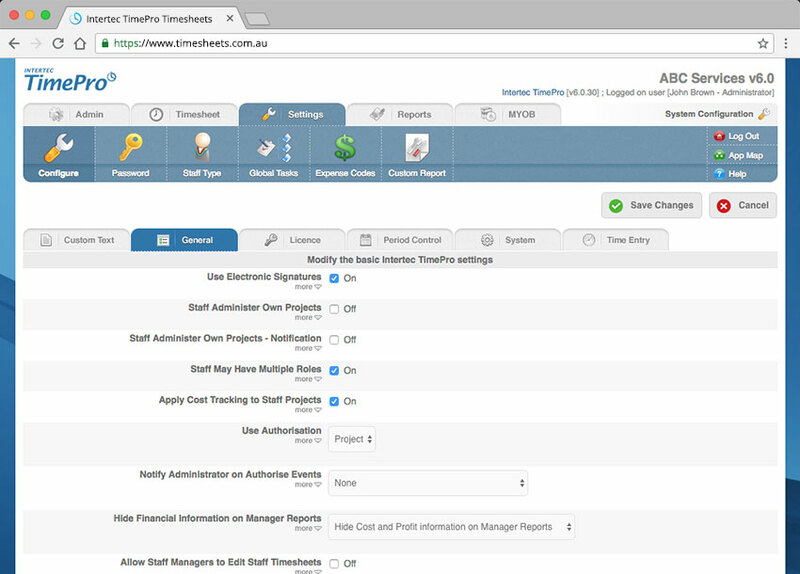 Intertec TimePro will integrate with MYOB, QuickBooks and Xero to streamline time billing and invoice processing. 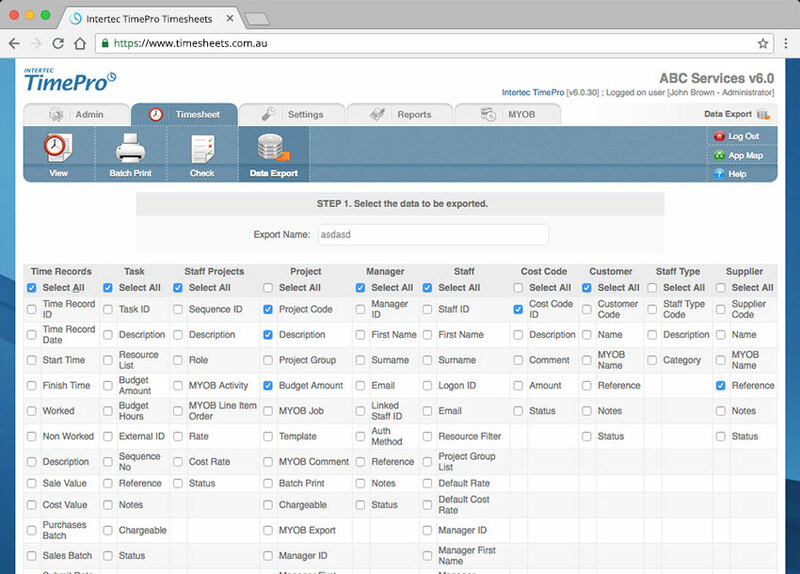 If your business requires a more customised timesheet solution, Intertec TimePro can be extended to suit your specific requirements. Whether for businesses requiring integration with other systems, or for processing based on specific business rules, Intertec TimePro lets you build on what you buy. This option is very cost-effective compared to building your own timesheet application from scratch. Setup of a custom Hosted solution begins at $1800. To discuss your custom requirements, please Contact us.